In preparation for your sweet new baby you may also be looking for a breast pump for those times you may not be able to breastfeed, with so many on the market these days what is the best breast pump for everyday use? You may be thinking I don’t need a breast pump I am going to be breastfeeding! Well you never know what situation could arise and rather then scramble to find a pump it is better to have one on hand. 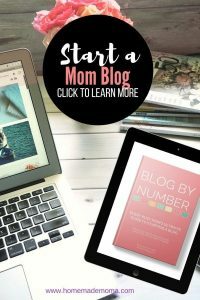 Sometimes you need to pump and dump and other times you may have a baby that is having trouble with latching like mine did and you will end up pumping instead. 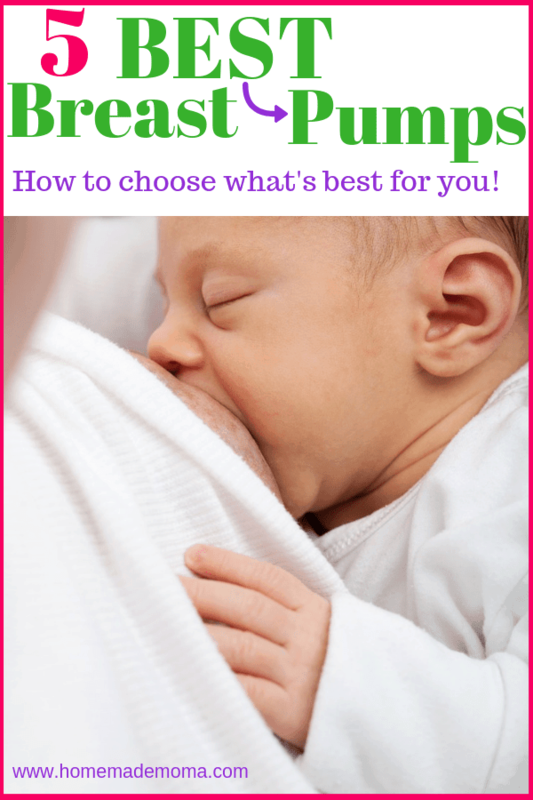 I have a list of the top breast pump and features to help you decide what is best brand of electric breast pumps. I also have the one I used and what I loved and didn’t like about it when I was exclusively pumping. This is a hands free double pump that allows you to do anything while pumping and not be attached to the wall like the old style version (which was the one I had) it has rechargeable batteries and can also be plugged into your car for convenience on the go. You get a tote bag to carry it with you anywhere and it is only 4 lbs so you could put it into a smaller bag if you wanted to rather then carry the big one. The two-phase pumping technology simulates the way a baby nurses which makes it more efficient. You can adjust the speed and suction to work for you. The awesome part about this medela pump is the hands free setup so you can do house work or work at your desk without having to just pump. This is a great pump for using at work as well due to the size and ease of use. If you need any replacement parts it is easy to get them through medela. The kit comes with four milk bottles and lids, ice pack, cooler bag and breast shields to fit any size breast. It’s loud so don’t try to be on a conference call or on the phone while you are pumping! The one I had was the older version which worked well but hurt a bit due to the suction being so strong and unnatural. It was very hard to clean the tubes got milk in them and had to be cleaned all the time to keep bacteria and contamination from occurring in my breast milk and going to the machine and burning it up. It was super inconvenient to say the least but it got the job done even with the loud noise and being stuck in one place unable to do anything due to it not being hands free. Personally I hated it so much!! I would have loved the newer version of it but I got it for free and didn’t know anything about breast pumps so I was stuck using it. 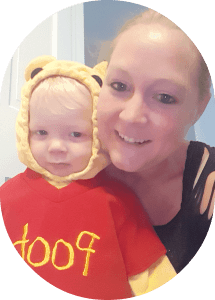 That is why I created this post for those of you mom’s that have no clue about breast pumps and which ones are better, I don’t want you to go through the same thing that I did! Has a hospital grade single and double option for pumping. Closed system so you don’t have to clean out the tubing and aides in protecting breast milk and your baby from bacteria, mold and viruses while pumping. This will also save you from buying a new pump when you get milk into the motor. You can easily customize it to go with what you are comfortable pumping so that it mimics your body’s rhythm rather then just pumping. This pump does plug into the wall so if you don’t mind that then it is a fabulous choice! The closed system is so important and would have been helpful to me when I had my Medela and had to constantly clean out the tubes also it weighs 3.3 lbs so you can easily carry it in a small bag or purse and keep it discreet. There are a wide variety of suction and speed options, and even a letdown button and also remembers your settings so you don’t have to change it all the time. It is super quiet which is a bonus because most of them are very loud and comes with a night light. The only downside is the availability of parts, spectra makes you buy the whole kit and not just one part so that can get expensive though you can get aftermarket parts that work just as well. Light weight and portable 4.2 lbs and comes in a convenient tote bag. you can use it as a single or double pump and adjust the suction levels as needed. Has a closed system like the Spectra to protect your breast milk and keep your machine from dying due to milk getting in it. Small enough to take to work and parts are dishwasher safe which is convenient. It has a closed system and is light weight and washing parts in the dishwasher is awesome! The downside to it is the suction not being as good as some of the other pumps and it is hard to find parts for it if you need to! Control left and right pumps independently, no suction reduction so if one side is different then the other you can compensate for it. 3D System and imitates a baby suckling. Hospital grade closed system so you don’t get milk in the lines. Has a touchscreen so it’s easy to use and a rechargeable battery so no need to be stuck sitting by an outlet. Soft silicone cushions for maximum comfort. Weighs 2 lbs for easy carrying in any small bag. It is quiet so you can use it discreetly any where you need to and has a hands free feature so you can do other things while pumping! It uses a suckling instead of vacuum pumping motion so it’s more comfortable. Both sides work independently for a better experience. It remembers your settings and is super easy to use. It has more parts to clean then most pumps and not so easy to assemble then most. The silicone material takes longer to dry resulting in waiting to pump! Comes with black tote bag and pink cooler. Has a closed system to keep tubing dry and protects the breast milk from contamination. Rechargeable battery so it is very portable and convenient for using at work or travel and anything else you need to do while pumping. Quiet and discreet and easy to set for your own body rhythm using a massage mode for let down and simulates a baby suckling. It is hands free and convenient due to being rechargeable! You get a tote bag and cooler and bottles to go with it! The quietness is awesome so it is very discreet to use. Comfortable, portable, lightweight and recommended by second time mom’s so you know it’s a good one!!! I hope this helps you narrow down which pump you want to buy based on the features and what we love about each one. I know preparing for a baby is very stressful so I wanted to make it easier for you to find the best products that suite your needs without you having to search all over the place to find the best ones! So what is the best brand of electric breast pumps out of the top 5 listed here? The top pick is the Spectra S1 Bundle Kit Hospital Grade Pump it comes with a tote and cooler and everything you need plus it is quiet and you don’t have to be plugged into a wall to use it, it also uses suckling instead of vacuum suction to pump! The fact that second time mom’s recommend it makes it that much more desirable then any of the others! This is the pump to get hands down, you will love it and have no regrets. Suctions to your breast and does the work for you through suction. Great for when you are weaning your baby and need some relief from the breast pain and also long trips when you may not be able to use you electric pump. You can also use it while breast feeding on one side to get some extra milk for using later. Lightweight design that is portable and discreet. 2- Phase expression technology giving you more milk in less time. Has a swivel handle for easier pumping. The o ring in the pump is defective after using it a few times so you will have to go buy one from a hardware store because the replacement ones are just as bad! Extremely soft comfortable and safe. Uses suction to pump breast milk out naturally. Hands free and easy to use. Use while breastfeeding or anytime you need to. Has an ergonomic easy express handle to reduce hand fatigue while pumping. Can be carried in any bag, great for traveling. Comes with 2 breast sizes for a better more comfortable fit. Comes with a nice stand. O ring in the pump gets worn out quickly and then you cannot use the pump. The purple ring around the flange can curl after a few times and you loose the airtight seal that you should have. More comfortable pumping position due to design. Soft message cushion helps stimulate milk flow. Compact, lightweight design of the pump body makes it easy to hold and position. Compatible with other Philips Avent feeding products. The pump makes noise and the cushion doesn’t fit some women’s breasts causing sores after pumping a few times. If you are looking for a way to pump without having to carry your electric pump with you like when you go on a date with your significant other or go shopping or out and about this is the perfect one to take with you. It works great to use while breastfeeding your baby to get an extra feeding and increase your milk production as well! !